There’s so much love spread out all over my desk. I’ve had to stop storing your letters of encouragement in my fishbowl, and have added a box. The box filled up yesterday. I’m starting my third collection vessel this morning. You beautiful people are amazing. We’ve received letters from all over the country—from Oregon to New Hampshire and all points in between. 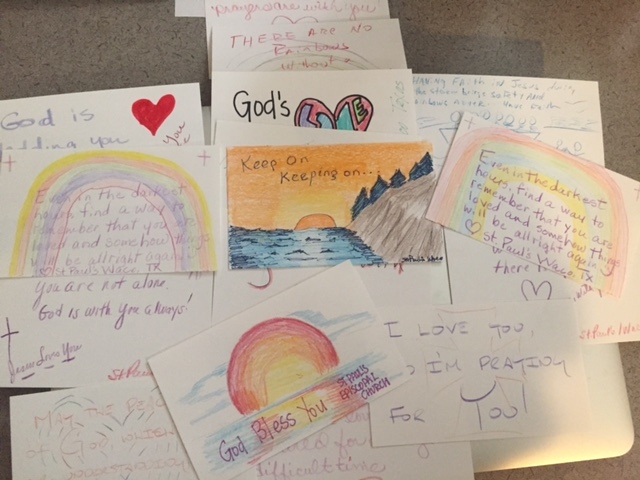 And we’ve had letters from Methodist youth groups, Episcopal schools, Christian formation groups, church staffs, and families just like yours. There are beautifully painted hearts (with magnets on the back!!!) 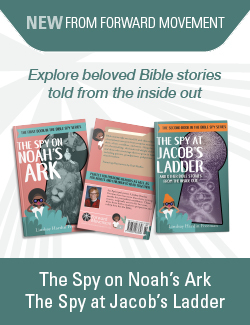 to stick on refrigerators, cards with unicorns and flowers, cards with verses from the Psalms or the stories of Jesus, cards with small handprints and written with fat crayons. I love looking at them, and they make my eyes well up with joy and encouragement. I know the people to whom we send these love letters with feel that way, too. If you haven’t sent your love letters in, there’s still time. We’ve got friends in Puerto Rico who need some love, and so do our buddies out West who are sifting through wildfire ashes. 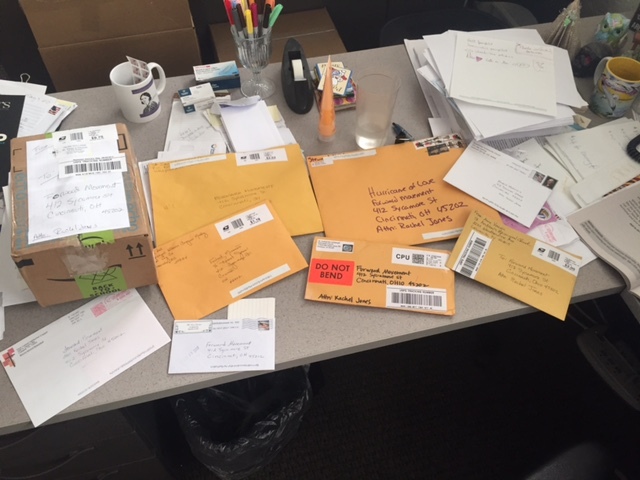 And I know you have a lot of love to give—love that looks like a flurry of rainbow-colored 3×5 cards—and because some of you have asked for us to extend our deadline, I’ll still be accepting Hurricane of Love Letters until October 10. Thank you so much for doing this for the love of Jesus and hurting people around our country and the world. 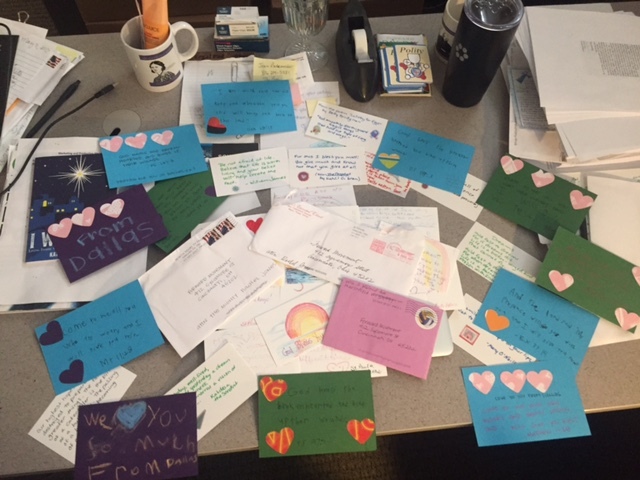 You are doing a fantastic job, and I’m so pleased and honored to be holding and sending out your love letters. Keep ‘em coming! p.s. We’re uploading photos of the Hurricane of Love to an album on our Facebook page. Check them out right here. Also: we passed 1000 likes on Facebook this week! Thanks to all of you. -Ed. How are you contributing to relief and recovery this season?